The lab has been upgraded to vSphere 6.7. I know, too early because none of the backup vendors supports vSphere 6.7 just yet. But the compatibility for VSAN 6.7 is still fine. (check image below). 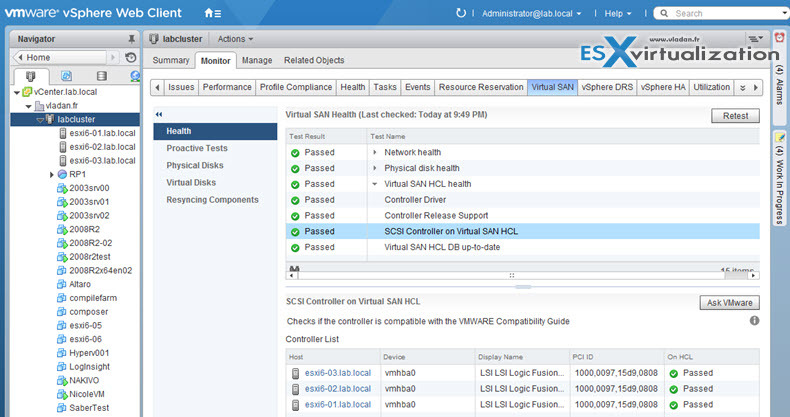 Here is an overview of the vSAN Health checks detailing the storage controller certified driver..
Update 3: I just found out that my LSI 3008 controller which is used by VSAN is still “Green” via VMware HCL health checks. 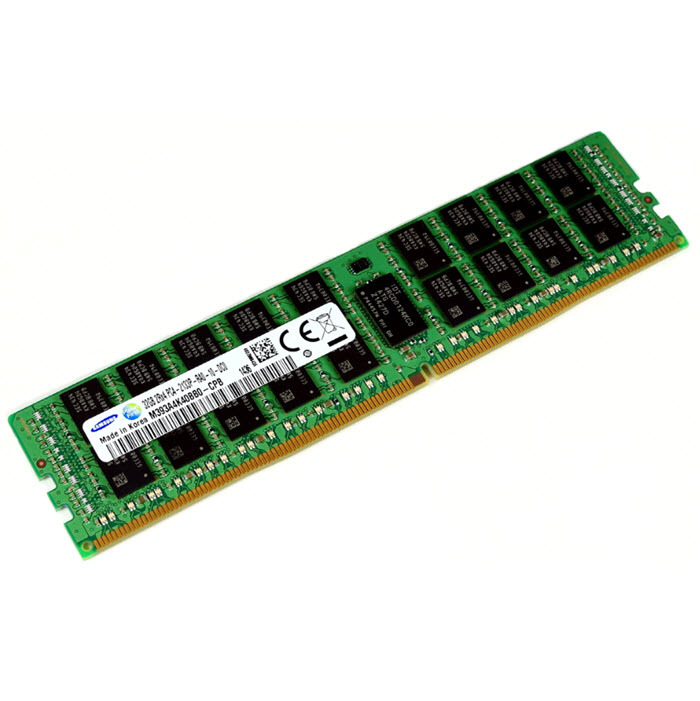 This controller is a SAS/SATA controller, 12GBps which can drive up to 8 disks. In my case, I use it for vSAN and right after the upgrade, the controller seems to fall off the HCL, but a few months later, it's back again. Note that while this controller can do software raid, I'm not using it. 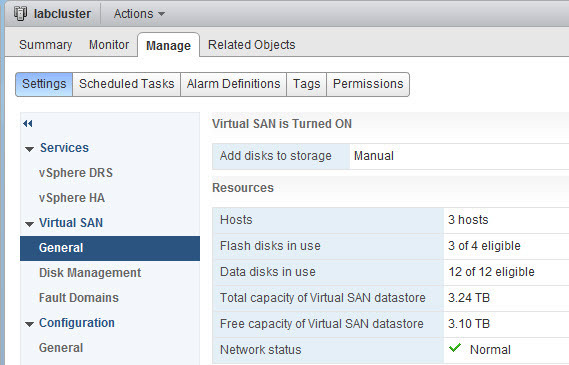 I'm passinng through the disks into my vSAN so it' is vSAN cluster which has a full management of the devices. 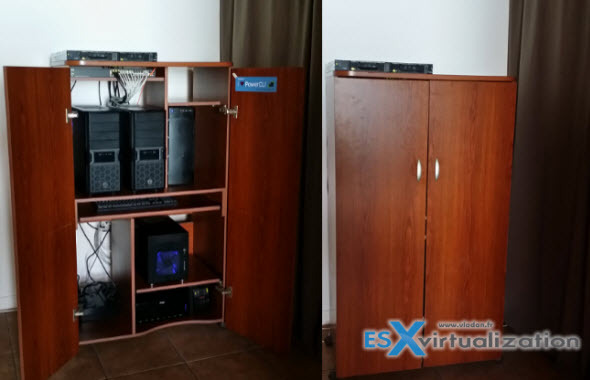 You might be interested in reading this post about the latest lab upgrade to ESXi 6.5 and vSAN 6.6. 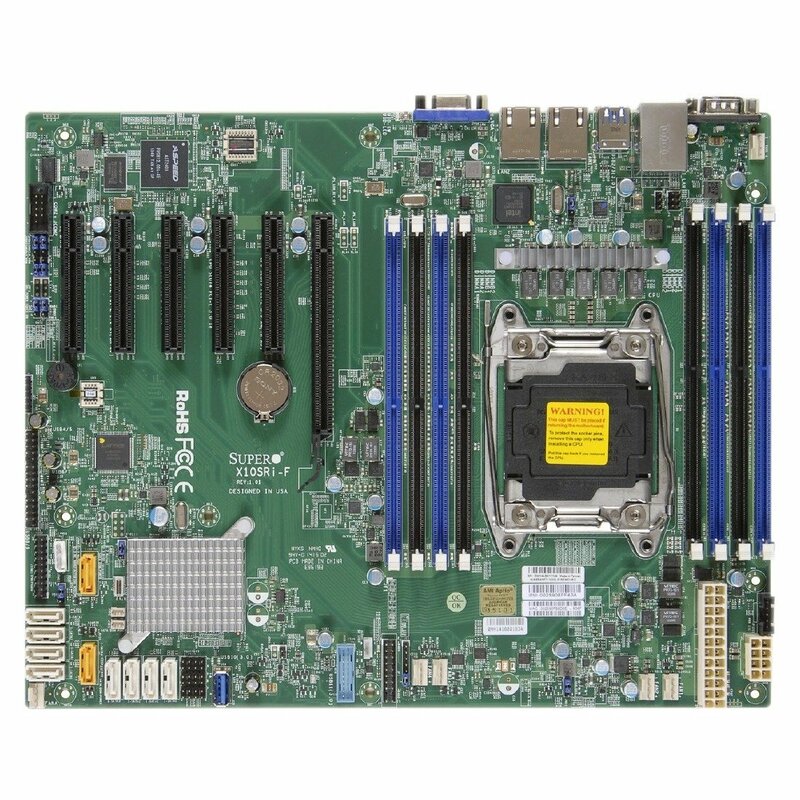 It seems that while VMware does not have priority on this Supermicro Motherboard (which is understandeable), the controller itself is still pretty valuable. Which basically gives you not only the details about the controller, driver and firmware but also the queue depth… -:) Pretty cool. This is the way VMware is going forward. Latest news from VMworld 2017 shows that Ruby vSphere Console will be phased out in the future and VMware will pack more CLI commands and PowerCLI commandlets in order to interract with vSAN clusters. Update2: Patch day today. There was a vSAN 6.6 release so, this is a big day for lab update to the latest release. While the VCSA upgrade went just fine, by attaching the upgrade ISO downloaded from the VMware Patch Download Center, I cannot say the same about one of my ESXi updates. esxupdate.log had a crucial detail regarding the /store directory: it was not found. /store (or the symlink, /locker) appear to be temporary storage locations for VIBs during upgrade operations. VMware even has a KB (KB2030665) detailing this error. The 3 node VSAN got re-configured into 2-Node All Flash + Witness config (ROBO), for testing purposes. The third node, which is outside of VSAN cluster has just local storage to host vCenter Server, DC, DNS (backed up daily with Veeam). It hosts the Witness VM for VSAN too. Update: The lab got upgraded to vSphere 6.5 with VCSA 6.5 (Linux). Part of it is also VUM now, so the All-In-one package is quite sweet.. There were problems to find good driver/firmware combination for my x710-DA2 NICs, but finally, the latest driver and latest firmware with uninstalling the stocked VIB from the VMware ESXi 6.5 iso did the trick. The Haswell ESXi built got transformed into a Hyper-V host…. As for my main desktop system I'm using the 64 Gb of RAM box with Hexacore i7 CPU. The main desktop runs W10 and VMware Workstation. Additionally, I can boot into El Capitan too as the box is configured as multiboot Windows + Hackintosh. 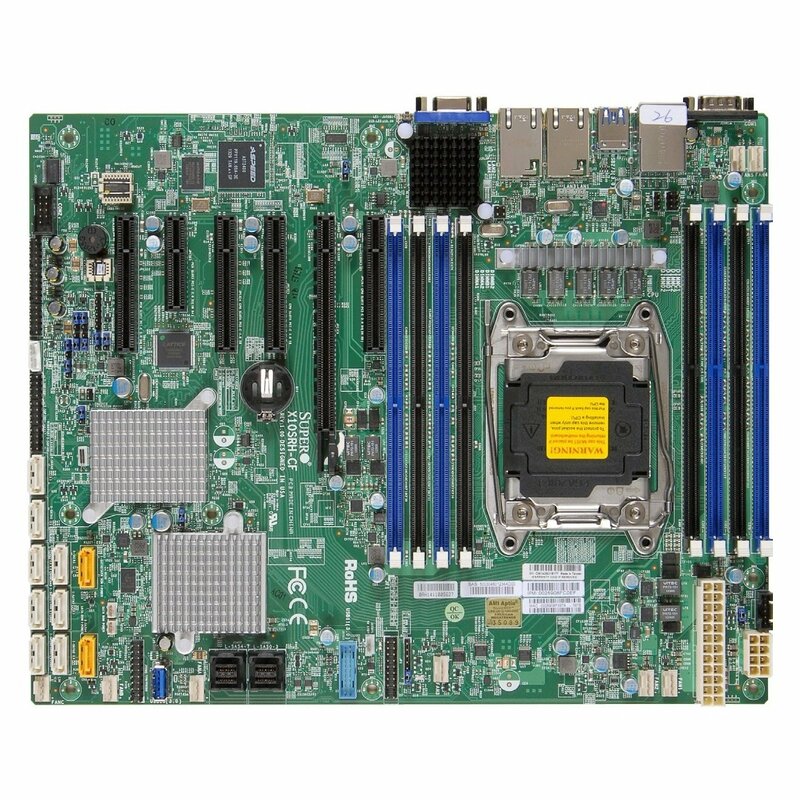 The LSI Logic Fusion-MPT 12GSAS SAS 3008 PCI-Express. It's the built-in onboard SAS. 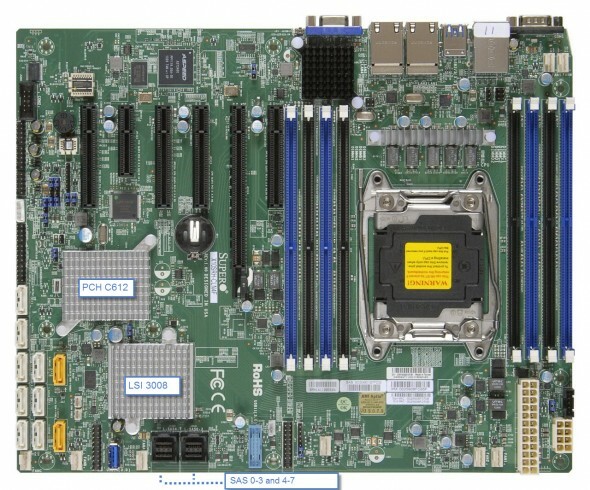 The LSI 3008 SAS controller (built-in) present on the mobo is part of VMware HCL. Here is the look from the Inside. The whole lab “sits” on a mounted garage rack bought at the local hardware store, where at the bottom there is a 10Gb Switch and on the shelf there are 3 hosts. (Four actually as the fourth host is a management box – 64Gb RAM box). I'm running vSphere 6.0. 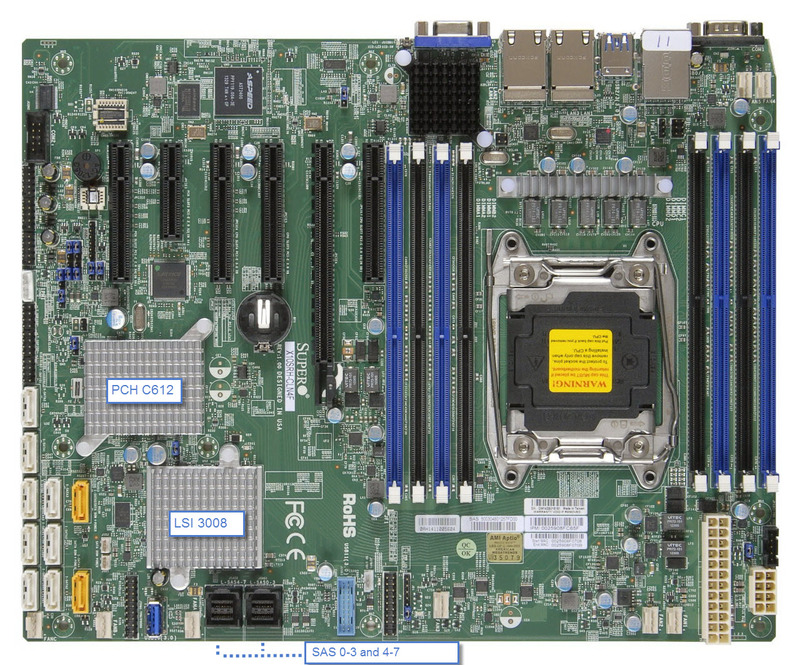 Each of the 3 hosts has only the two 10 GbE ports plugged in + the iPMI port used by Supermicro's motherboards. As concerning the network I took the plunge, broke the bank and went for a 10GbE switch from Cisco – SG500XG-8F8T. The same switch that Erik Bussink uses in his lab. Concerning the 10GbE network cards I opted for low power, low consumption Intel Ethernet Controller X710-da2 cards with SFP+ connectors, So each host has two 10Gb ports. This was my lab in 2014. 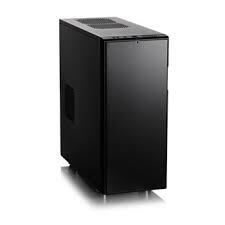 Haswell i7 whitebox, with 32 Gigs of RAM. 2 physical ESX(i) hosts with 24Gigs of RAM each, plus 1 Haswell Whitebox with 32Gb of RAM participating in VSAN cluster. 1 Whitebox with 16 Gb of RAM running vCenter, DC, a Backup server VM and some other VMs, in a management cluster. 1 switch (Cisco SG300-28) – L3 switch, running VLANs with inter VLAN routing. Plus one Drobo Elite iSCSI SAN with SATA disks. Slow, but good to store the backups of my critical VMs. The Network is handled now with the SG300-28 Cisco Small Business switch. It's a bigger brother of the SG300-10, which configuration you can follow here – My homelab – The Network design with Cisco SG 300 – a Layer 3 switch for €199. (with a complete schema). I had a little trouble with Memory Channel per Bank getting non active when using PERC H310 Contoler card – Fixed! when those Dell PERC H310 controller cards used with my two Nehalem boxes, but glad it's been “solved”… Those cards are on VMware HCL for VSAN. They are quite cheap (seek on eBay), but not the ones with the most performance. Haswell i7 whitebox, with 32 Gigs of RAM. Energy efficient i7-4770S model from Intel, which has VT-d, VT-x and vPro, and at the same time has only 65w TDP. The 4 cores, with 8Mb of cache and hyper threading gives me enough power and flexibility to play with. The other two of my ESXi hosts are also whiteboxes running on non server hardware. It's basically a PC with a lot's of RAM (24 Gigs) each. Both boxes are running latest VMware ESXi hypervizors, which are installed onto USB Flash 2 gigs each. Both boxes runs on Intel i7 Nehalem CPU architecture. The CPU are not the same, since the first box is the one I started few years ago, and I added one more box. One of those boxes has Intel i7 920 and the other i7 960. 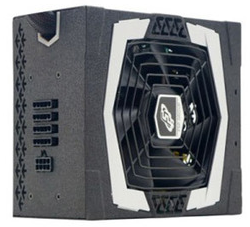 The 2 physical boxes with the Antec power supply make almost no noise. 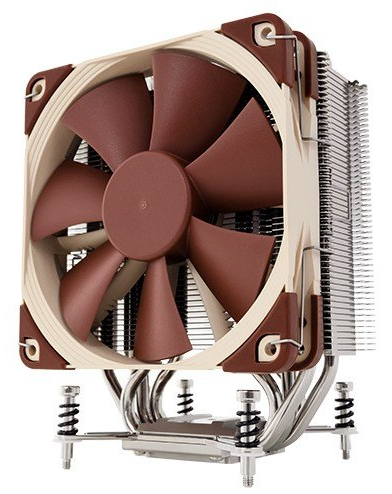 I must say that I took a special attention to pick this particular model of Antec, since the fan in those models is 135 mm large and the efficiency is 82%. 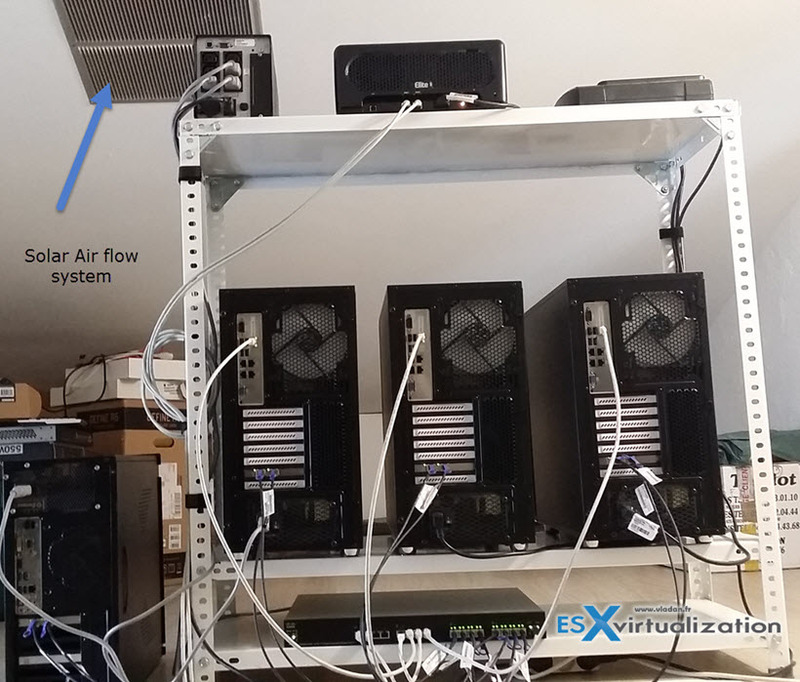 The silence of those power supplies is just ….. awesome ! Also, I must say that the original Intel CPU Fans were replaced by more silent models. I think that everyone confirms, that those original Intel Fans are quite noisy. I also I digged in bios of both systems to find an option where on can setup “quiet mode” for CPU fan. Once activated, the RPM went down… and the noise level too.. When I started my VSAN journey I went for cheap storage controller cards on eBay – the Dell Perc H310. But those were the lower ends adapters. At the beginning those adapters were on VMware HCL but then VMware has decided to take them out due to performance problems during rebuild and resync operation on VSAN enabled clusters. In fact the queue depth of those adapters is only 25 when used with the original firmware. That's why I flashed those Dell H310 cards with an IT firmware (from Dell) – How-to Flash Dell Perc H310 with IT Firmware To Change Queue Depth from 25 to 600.. The storage network uses Cisco Topspin 120 (I think other references this switch as Cisco 7000 model too) which has 24 ports. Infiniband switch (Topspin 120 from eBay – you can find one of those for roughly $200 + shipping) providing me with 10Gb for VSAN traffic and 10Gb for VMotion traffic. 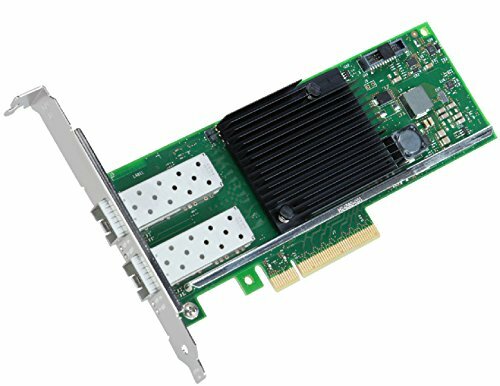 The Mellanox HCA cards do provide 2x10Gb network speed and are also from eBay (HP 452372-001 Infiniband PCI-E 4X DDR Dual Port Storage Host Channel Adapter HCA – €26 each). Infiniband Cables – MOLEX 74526-1003 0.5 mm Pitch LaneLink 10Gbase-CX4 Cable Assembly – roughly €29 a piece. Now when VSAN is out I configured my 3 hosts with VSAN. Each of the 3 hosts has one spinning disk and one SSD. I might add more internal storage later. 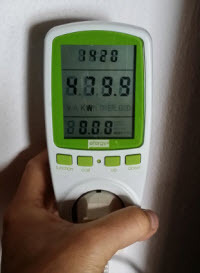 The lab draws less than 500W according to my powermeter. This is quite good considering that I’m running 4 physical hosts and with two switches and one iSCSI SAN device. Two Nehalem CPUs are the most power hungry as the Haswell low power CPU has TDP 65W only. @erikbussink asked me if I had a video showing how noisy was the infiniband switch after I replaced the original fans with a Noctua ones. 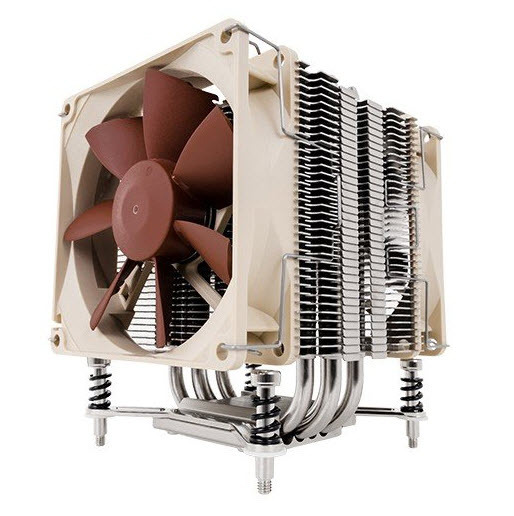 The switch has finally received a new Noctua fans (Noctua nf-a4x10) which do have 3 wires. (any fans with 2 wires won't will work but the switch will shut itself down after 2 min….). For my particular situation I had to change the order of those wires. The write up is in the My VSAN Journey – All done article. I've recorded a short video showing the noise (or I should rather say silence) of the lab. When I first bought the Infiniband switch, it was noisy… oh man. Impossible to stay in the house. More noisy than a washing machine. The video shows also the individual components. The latest minibox is my “management” cluster. It has only 16Gb of RAM and I run there the vCenter, DC, DHCP, DNS services as well as my backup servers.